The process involves opening the Apple Store iOS app and selecting a configuration. The app will then explain the monthly cost over two years, which is $49.91 for 64 gigabytes or $56.16 for 256 gigabytes. The Upgrade Program does include an AppleCare+ warranty however, which among other things reduces the cost of accident repairs. Pre-approval doesn't ensure an iPhone X is coming, so people will still need to return to the app starting at 12:01 a.m. Pacific time (3:01 a.m. Eastern) on Friday to actually submit a preorder. Unlike 2016, Upgrade Program members will this year be able to go through the same order process as other customers, rather than having to reserve a device at a local store. To trade in an old iPhone —a condition of the program —the company is handing out free mail-in kits once an X ships. 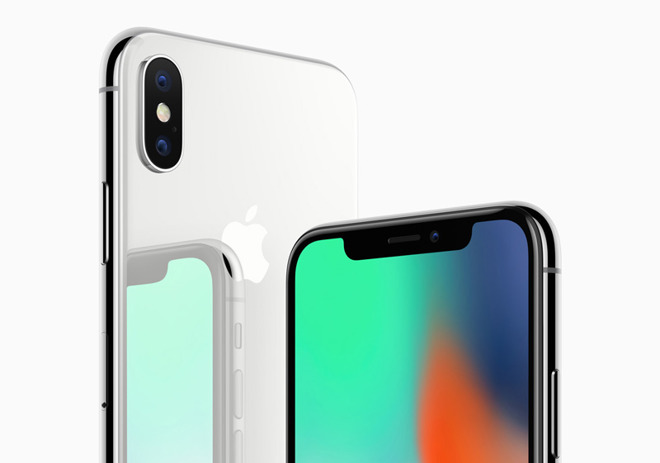 Owing to production bottlenecks related to the phone's TrueDepth camera, the iPhone X is expected to be in very short supply, possibly selling out of launch-day stocks within a matter of minutes. While those bottlenecks could be resolved by the end of the year, Apple typically isn't expect to equalize supply and demand until early 2018.